Acne is a very pitiful and stubborn disease. The pimples that sprout up on the face not only bring the pain, ugly looking scars, thus diluting your overall personality. They do no harm to your health or the body, but you get disgruntled in psychological terms. If a person gazes at you innocently, you think he/she is curiously looking at your pimples. ‘Curiosity kills the cat’, you get irritated, for no fault of onlookers. You come under stress that boosts the sprouting of pimples further. These acne scars happen to almost everybody, especially during the teenage when it changes into puberty. 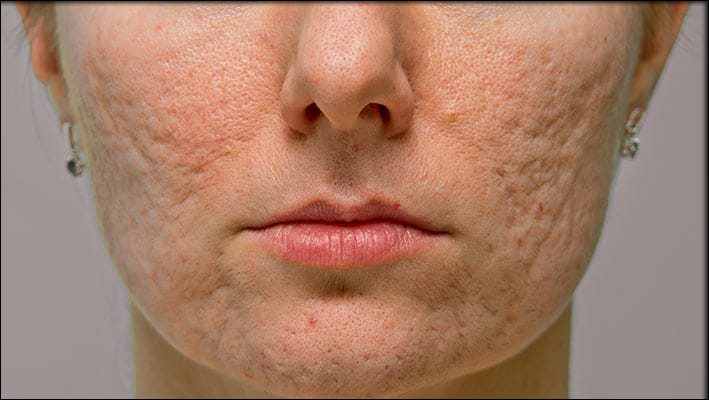 It is mostly genetic, but many other reasons are there, which can cause acne. If you have oily skin, the cells of your skin are dead, the pores of your skin are blocked or it can come from infection, but that’s very rare. Amla is famous for being too good for your complexion and eradicating the excess sebum. It combats with the bacteria that causes acne and drives away the scare, making you strong mentally. The vitamin C and anti-oxidants that are present in it glow your skin and removes all the blemishes it has incurred. Its juice is not sweet, but the benefits are too much to ignore. Apply a little honey to change its flavor. It also helps a little bit in fading the color of your skin. 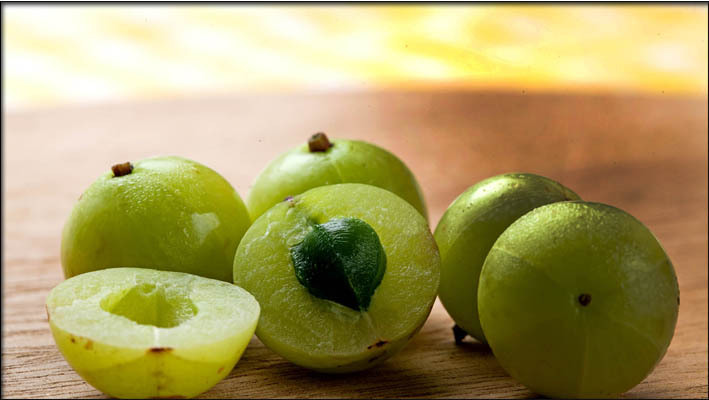 If you are not comfortable with drinking Amla juice, it can be applied directly with the help of a cotton ball, all over your face. Beware, keep your eyes shut while doing so. It will certainly remove the pimples and make your skin glowing. 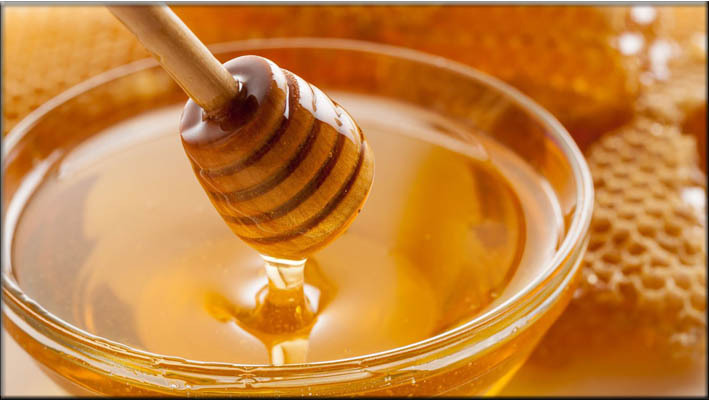 Honey has magical powers when dealing with skin problems, especially when rectifying acne trouble. It moisturizes the skin profusely, is a gentle exfoliator of dryness, fades the scars caused by acne and combats with bacteria that cause acne. It makes the skin so supple that you start looking younger than you actually are. It’s a boon for females, who never want to look older, disclose their age, it reverses their age. Apply the organic honey directly on the pimples or any other blemishes that are present on your face and leave it for 5 to 10 minutes. Follow this procedure regularly to achieve the best results, a radiant skin, which keeps shining even in the cloudy weather. First wash thoroughly 10 neem and tulsi leaves, with plain water. Grind both leaves, with some rosewater, so that a paste is made. Cover your infected area with this paste evenly. Leave it until it dries itself. Then, wash thoroughly with cold water and pat dry. Both these herbs have amazing anti-bacterial features, which help in driving out the acne. It is probably the best and cheapest way to keep your skin shining, which has some spoiled marks. 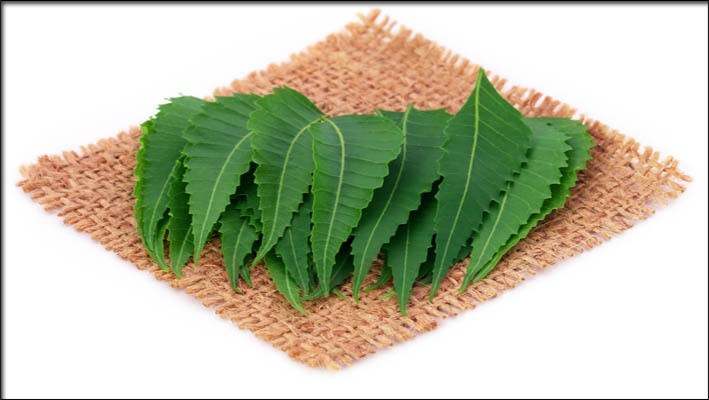 It awakens the dead skin cells, removes unwanted spots, clears facial blemishes and fades the color of skin. Lemon also soaks the oil from the skin, cleans the blocked pores without disturbing the natural oil balance. 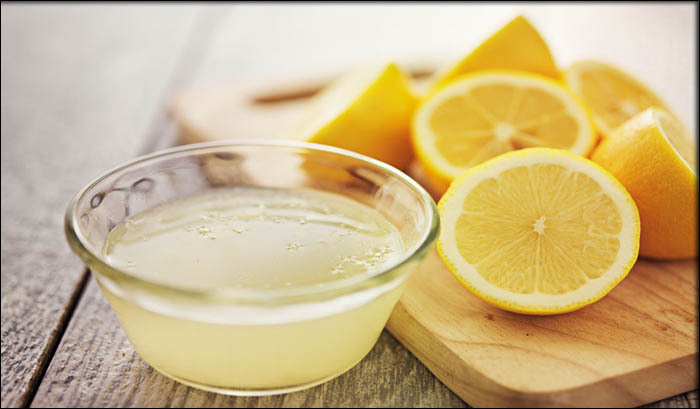 Dilute some fresh lemon juice with water and apply it to the infected part, with the help of a cotton pad. Apply in an even manner and leave it to dry for 15 to 20 minutes. Thoroughly wash the infected part with cold water. This process, if done regularly will certainly bring benefits. You can also drink a glass of lemon water every day to speed up the process of eradicating the acne symptoms from deep inside your body and attain a shining skin. There is another way, take a glass of lukewarm water and add 3 teaspoons of lemon juice to it. Add a little organic honey to make its taste yummy and drink it daily. Potatoes can be used to rectify acne sprouting that is spoiling your facial skin. 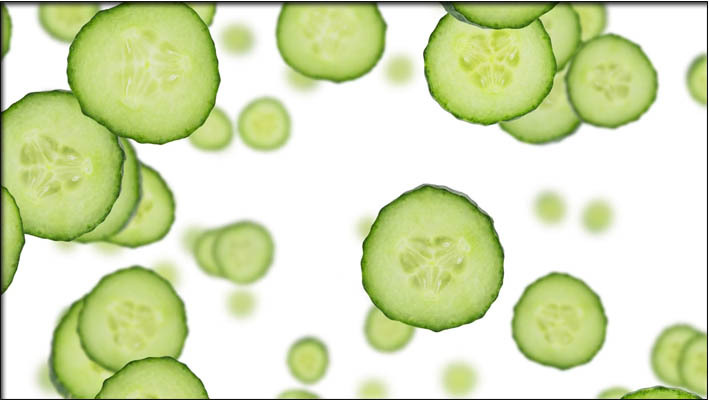 They combat with acnes bacteria and prune it, thus keeping your skin flawless. Slice thin disks of potato after peeling off its skin. Massage it on the pimples that have sprouted up, gently. When you move to another pimple, get a fresh slice otherwise the bacteria will spread its legs. Place a potato slide on the pimple itself allow it to take rest for 5 to 10 minutes. It will absorb all the toxins from the skin, diminishing of pimples is inevitable. It makes the body clean both from inside (cleans the blood) and outside (cleans the skin). It’s very beneficial due to its exceptional amount of water that is cool and healthy for the skin. It governs the oil, dirt and pollution by not letting anyone run astray. It balances the oil production that helps in reducing pimples and other breakouts. It also makes the blood fully authentic. Use cucumber along with white gourd, both has congenial features, add besan and yogurt (optional). After mixing well, massage them on the infected part for about 20 minutes, gently. Wash your part with warm water. This process is going to give your skin a supple look and a butter smooth complexion. Forget about drinking its juice, because the abdomen can’t tolerate it and begins paining. Some other homemade foods, fruits and vegetables also help in rectifying your skin from acne, like papaya, triphala, turmeric, Apple cider vinegar, Aloe Vera, steaming process, garlic etc. All the vegetables and fruits should be organic, otherwise benefits can deteriorate. If you still are not getting the results you are seeking, better go to a doctor. He/she can advise you better. Previous How to control Diabetes with the Help of Fenugreek?